In 2016 Death Goldbloom is back with its first full length. Who expects more of the same will be heavily disappointed. The band moves into the electric blues of the kind of Hot Tuna, The Jimi Hendrix Experience, Stevie Ray Vaughan and the likes. There is a layer of subtlety over the music that leaves space for all. So all that Muddy Waters in the 70s joined by Johnny Winter was not. Do I like it? Yes, both by the way. I just love 'Hard Again' and the live album and I'm starting to like A Dirty Dozen Bars more and more. The album starts with a male voice stating "this may appear to be only monkey business", indeed the music is serious. In the style of Jimi and Stevie Ray Vaughan Tim Claridge races around his fretboard. Don't expect solo's, just an intricate, long riff that goes around and around in a very soft way, with all sorts of little varieties in and around the main theme. In 'To Heck With Forgiveness' a Lou Reed rock riff meets Gordon Downie. By then it's clear to me that Death Goldbloom is taking me on a musical trip. Decades of rock music are put in the blender and out comes this incredible mix. The female choir in the background soothes the huge sound and there is a bass player added to the whole, Graeme Wyman. The harsh harmonica at the end tops off this great song. A Dirty Dozen Bars is full of surprises. You can find an acoustic ballad just as easy as a giant rocker in a The White Stripes style. Rocking the blues with rough riffs and singing. The difference being that nothing goes over the top or right off the cliff. The variety found on the album is what makes it so much fun, but may also be a reason for it not being picked up. Too much different good things? Not for me it is. There's not a single bad song to be found here. Other influences that can be mentioned are the in between chord licks like Jimi Hendrix, Neil Young's bare blues like in 'Revolution Blues', the indie sound of Nirvana. There are so many different things incorporated into the songs. Varied A Dirty Dozen Bars may be, when all is said and done the album is a quest into the blues. At times it may touch on gospel, like in 'Cornbread (Sonny Terry & Brownie McGhee cover)' or verge towards indie rock, deep down the music remains true to its core: blues. In the past one and a half year I've learned that Tim Claridge has many faces. Playing excellent acoustic guitar with Natalie Ramsay, creating magic as a duo with Ms. Ramsay under the name Hymalayan, rocking hard as a solo artist and there's the desert rock and blues infused Death Goldbloom. I've learned that I like all the different musical outings so far. 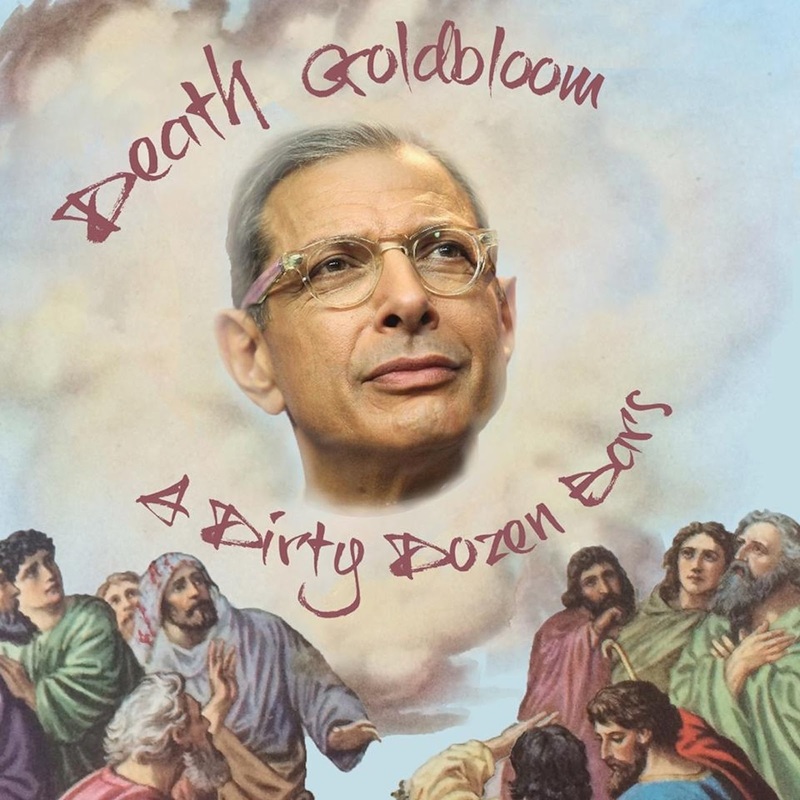 And now there is a new face to Death Goldbloom as well. 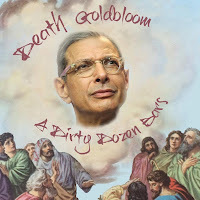 A Dirty Dozen Bars may not be what I expected from Death Goldbloom, it is a dream of a first album. The trippy spoken cut up pieces called 'Petey Green' aside (I laughed at the "Satan is a real person". "What? What, What? part though), the music is just so good. A world to win here, I'd say.